We are a housing association – providing high quality affordable homes, proud of our Irish roots and our experience in working with migrant communities. Established in 1985 to meet the housing and support needs of the Irish communities in London we now own and manage over 550 homes mainly in the London Boroughs of Brent, Camden and Haringey. Are you a tenant of Innisfree that would be interested in helping us to shape our services? Find out more here. Have you seen the winter issue of our newsletter? Click here to read it. 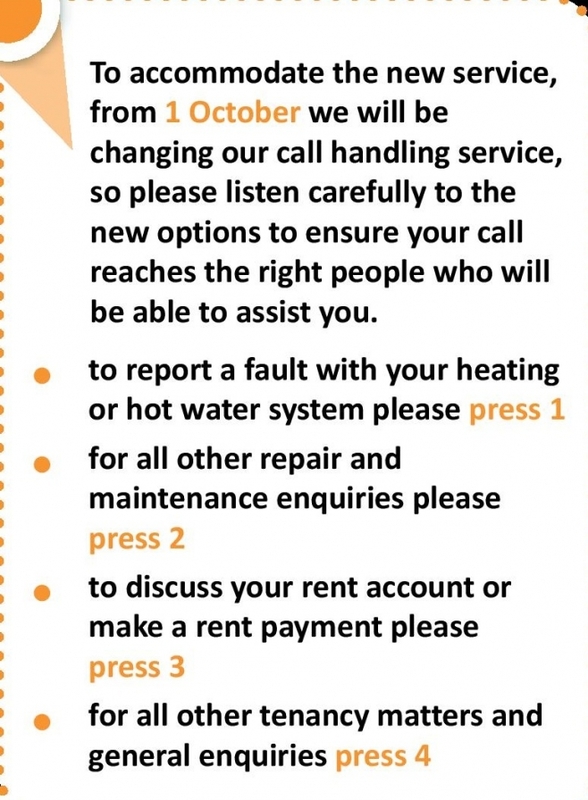 As from Monday 1st October 2018, all calls for heating and hot water repairs will need to be directed to our main office number 020 7625 1818 then, by selecting Option 1, you will be able to report your heating or hot water repair directly to J O’Connor’s servicing and repairs team. We also provide an out-of-hours emergency repairs service for our residents which operates 17:00 – 09:00 Mon- Fri, all day Sat, Sun and Bank Holidays. For all out of hours emergency repairs call 020 7625 1818 and press option 1 to speak to our dedicated out of hours provider Pinnacle, for non emergency repairs press 2 and leave us a message, this will be responded to when our office opens. Find out more about our repairs service here. Innisfree is celebrating after being ranked 43 in the ‘Top 50 Landlords’ list by industry magazine 24housing. 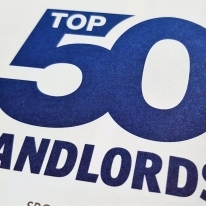 The list was compiled by 24housing to try and find the nation’s top landlords and to recognise best practice in the sector. Read more. Lots of things in our newsletter this month! 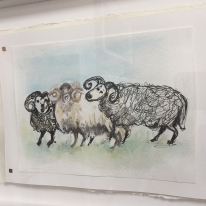 Read about the new art in our office, your new gas provider, universal credit coming to Brent and Camden, Return to Camden Irish Festival, jobseeking tips, and a welcome to our new Board Member, Ciara Chivers. Click here to read it! 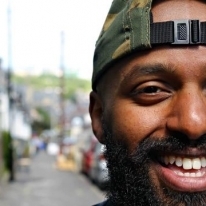 A migrant’s journey: from Zero to Hero? This Chartered Institute of Housing Magazine on Housing Rights features an article written by our Chief Executive, John Delahunty. John reflects on the way stories about migrants are told and how many of us have our own family story of migration. Click here to read the magazine. To help us deliver our services to our tenants, we need to hold certain pieces of personal information (data) about them. We are committed to treating their information securely, with respect and in line with data protection law. This privacy notice explains what happens when we process personal information. 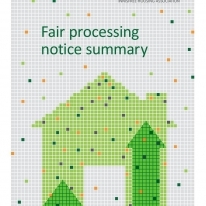 If you are an Innisfree tenant, it is important that you read this leaflet to understand what information we hold about you, how we may use it and your rights in relation to your data. 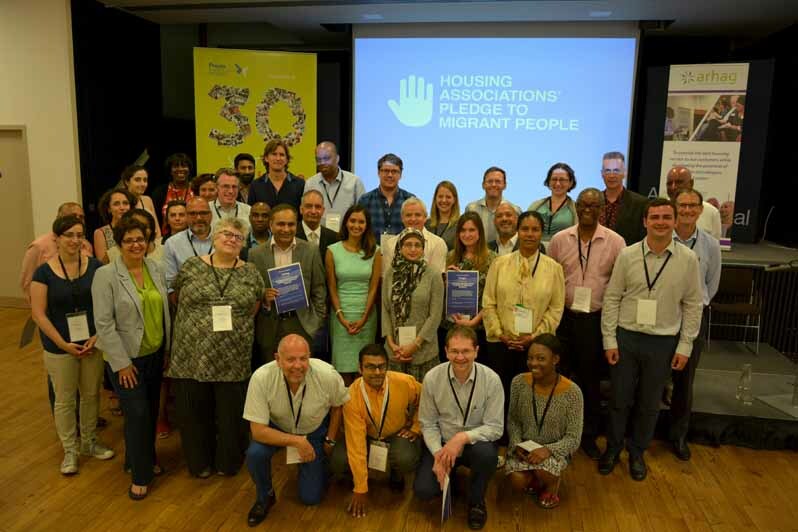 Our Chief Executive, John Delahunty, attended the Migrant’s Access to Housing Conference this week where Innisfree signed up to the Migrant’s Pledge commiting us to providing a safe and welcoming environment to migrants seeking someone they can trust. Click here for more information and to see a list of the housing associations who have signed up to this important pledge. Can something we eat really help our memory? It can be confusing and hard to know what foods are right for us as we age, but sticking to a few simple guidelines and making healthy choices can have real results for our overall wellbeing and that can really benefit the health of our brains and our memory. Simply adding in a few extra ingredients or making a few small changes to the choices you make at the supermarket can be a great start. 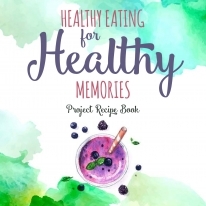 All of the recipes in the book feature foods or ingredients that have been recommended for helping to keep our memory healthy as we age. Download the recipe book and get cooking! House Exchange is a web based scheme to help local authority and housing association residents find people who want to swap homes with them. Registration is quick, easy and free for residents. The House Exchange website will try to match you with other households wherever you’re looking to move to. You will be able to search for homes either locally or anywhere in the UK, so whatever your reason for moving, begin your search today by registering at: www.houseexchange.org.uk. You can also follow them on Facebook and Twitter. Once you find your exchange partner(s) and you have both agreed you would like to swap homes with each other, all parties must also gain approval from their own landlords. At this point you will need to request a mutual exchange application form from us; this will begin the formal process. We welcome all feedback from our customers and value any suggestions you may have about our services. Click on this link Innisfree – Complaints, Compliments and Suggestions to find out how you can contact us and how we will deal with your feedback. Innisfree Housing Association in partnership with Irish in Britain and Age Exchange created a reminiscence project with older members of the Irish community in Harlesden, North London. The film ‘Carnaby Street, The Kings Road And The Dancehalls: London Was Your First Stop’ celebrates the lives and experiences of a group of immigrants who moved to North London from Ireland from the 1950s to the 1980s. To view some of the documents on this website you will need Adobe Reader. Download it here. I feel like one of the lucky ones. I would probably be in prison if it wasn’t for Innisfree.